Journal of Applied Science and Computations is an open-access journal publishing full-length of research papers and review-(survey) articles covering all subject that fall under the wide variety of science and technology, Medicine and Pharmacy. The journal is devoted towards broadcasting of knowledge related to the “Advance Research and Innovative Ideas” in the present world. JASC Journal publishes original articles, research articles, review articles with top-level work from all areas of Engineering Research and their application including Mechanical, Civil, Electrical, Chemical, Electronics, Mathematics and Geological etc. Researchers in all technology and engineering fields are encouraged to contribute articles based on recent research. Journal publishes research articles and reviews within the whole field of Engineering Research, and it will continue to provide information on the latest trends and developments in this ever-expanding subject. The vital role of JASC Journal in Medicine is to integrate updated information on physical and mental health care covering clinical practices, mechanisms of diseases, diagnosis and management, medical education, health care and public health policies and available organizations to all health professionals. The main aim to provide a forum for Pharmacists to exchange information, promote better health management and encourage research attitude all over the world. It has a wide scope to publish peer reviewed research manuscripts in the developing field of pharmaceutical sciences. 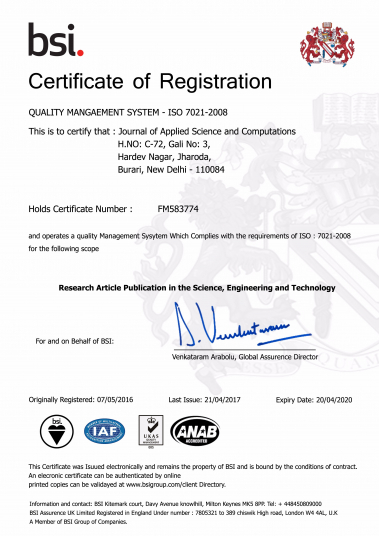 JASC (ISSN 1076-5131 (Online)) is Approved by National Science Library (NSL), National Institute of Science Communication And Information Resources (NISCAIR), Council of Scientific and Industrial Research(CSIR)New Delhi, India. Scopus Suggested: Journal is already suggested to index in Scopus and SCI. 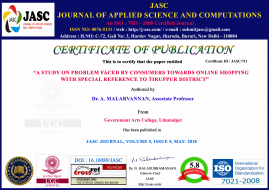 Journals is under final review process for SCOPUS and updating as per the suggestion. 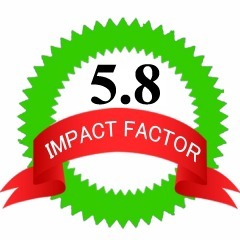 Your paper credit will increase after the journal indexed in Scopus. Rapid Publication: Average time [1-3 days] takes from submission to first decision and acceptance of manuscripts. High Visibility: JASC is available via many university libraries. Articles are freely and easily available to anyone in developing countries. 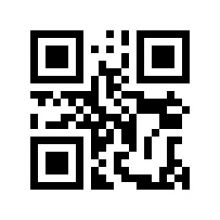 All articles can be accessed for free. Open Access Option: JASC is part of online open, which allows authors to access published article anytime and anywhere. Full Archive Available: Every issue of Journal of JASC is available online from volume 1 issue 1 to the latest published issue with month and year. JASC is published as a Monthly published journal with 12 issues per year. Note: If author wants to receive full monthly issue hardcopy book, need to pay Rs 1000/- extra for each book.